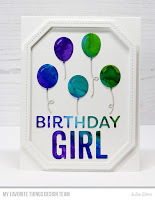 I'm back with a few more Bundle of Balloons card kit cards to share. 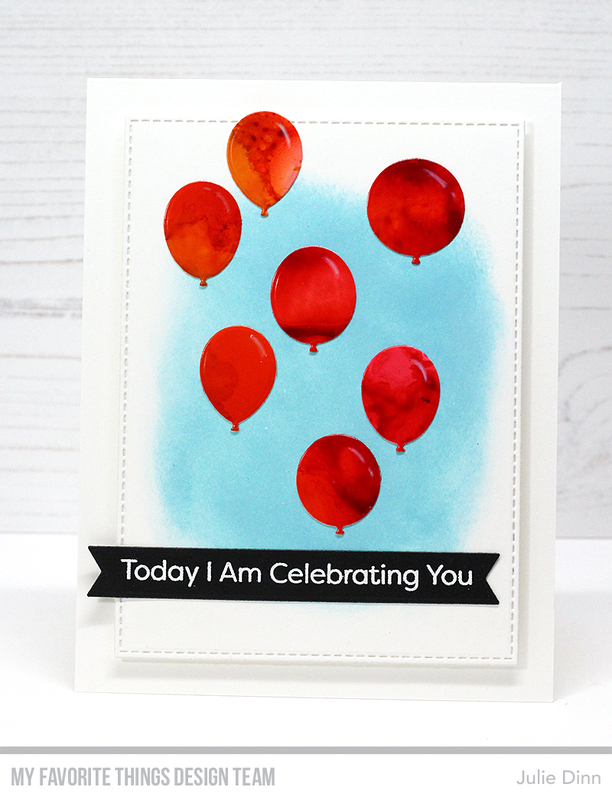 The new Bundle of Balloons Card Kit will be available Tuesday, July 24 at 9pm EST. For my cards today, I die-cut the balloons from a sheet of Yupo that was covered in a rainbow alcohol ink. 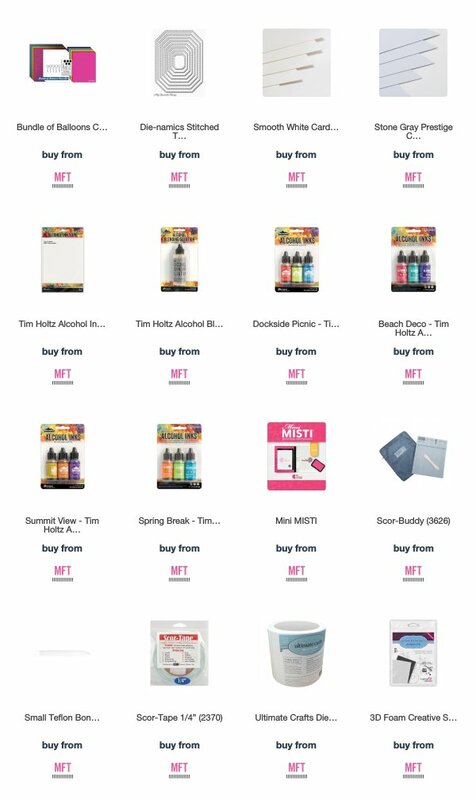 On this first card I used the blues, purples, and greens portion of the sheet. I also used the new Free with $60 die, Birthday Boy & Girl for the sentiment. I know that I am going to get a ton of use out of this die! I framed the balloons with a Single Stitch Line Tag-Corner Rectangle. On the second card I used the oranges, yellows, and reds portion of the Yupo sheet. I love the look of the bright balloons on the light blue sky. I finished off the card with a sentiment from the Bundle of Balloons stamp set. 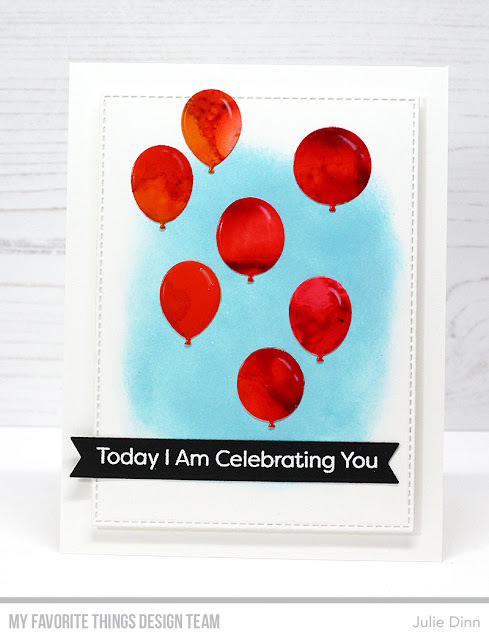 I added a touch of white to the balloons on both cards with a white pencil. Both cards are beautiful but oh, the blues, purples, and greens is truly stunning!